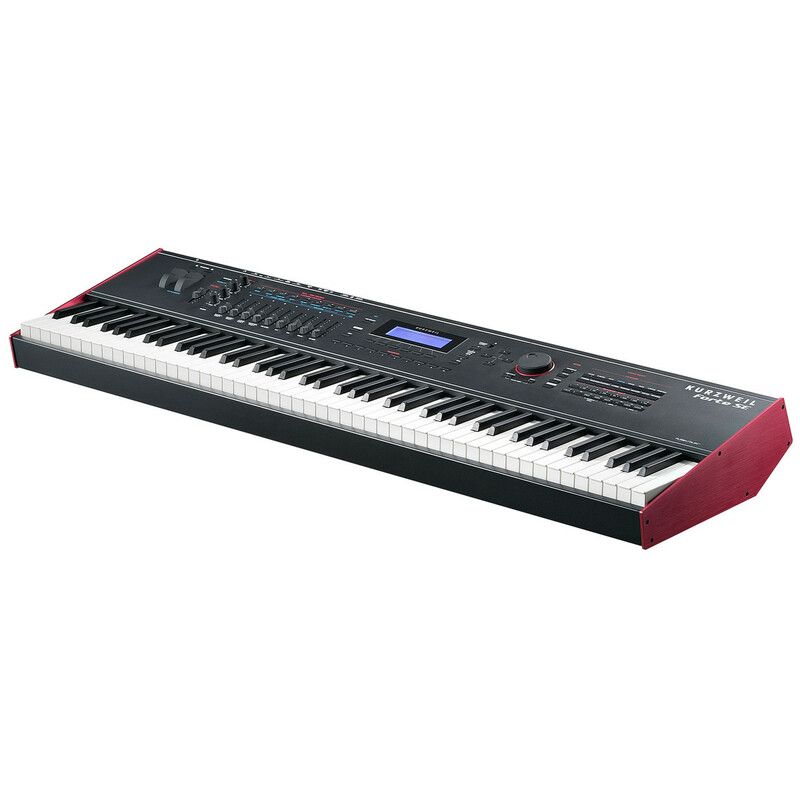 The Kurzweil Forte SE brings your performance to the next level with astonishing sound quality, dependability and user-friendly features. With 2GB of astonishing sounds, heaps of editing features and hands on control the 88 key Forte SE is a next generation stage piano. 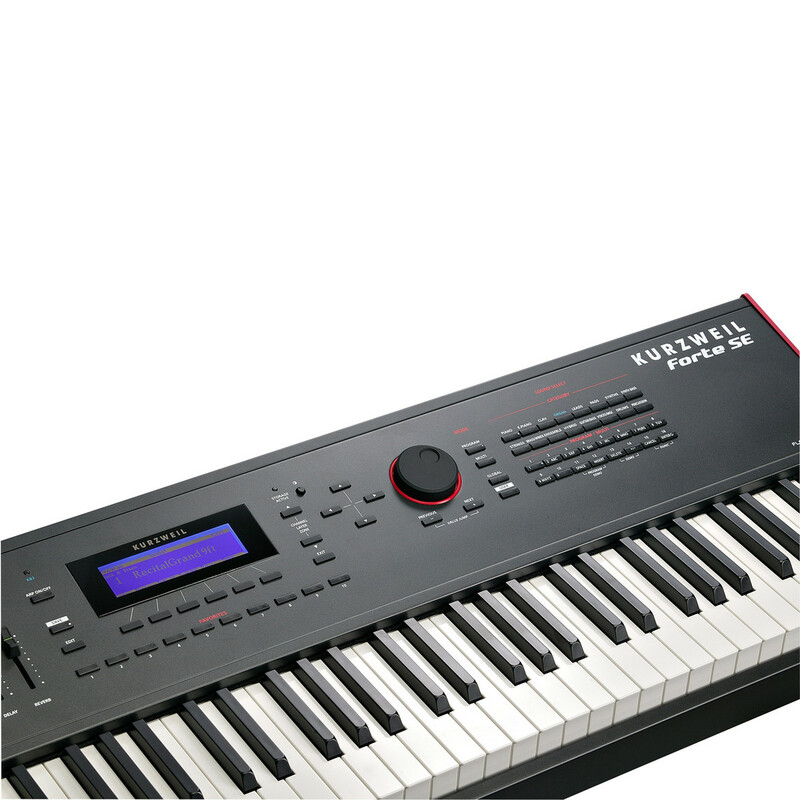 The Forte SE features the new High Definition Japanese Grand (optimised especially for the SE) and German D Grand, featuring "KSR" - Kurzweil String Resonance. Also included are a wide selection of tailored sounds from the acclaimed Forte (EP, Clav, Celeste, Crotales, Harpsichord), as well as PC3 Series and KORE 64 expansions - all handcrafted to deliver unprecedented expressiveness with an obsessive attention to detail. Flash-Play powers the Forte SE with 2 GB of on-board sample content with zero-loading time, loads of powerful DSP and ultrafast performance. 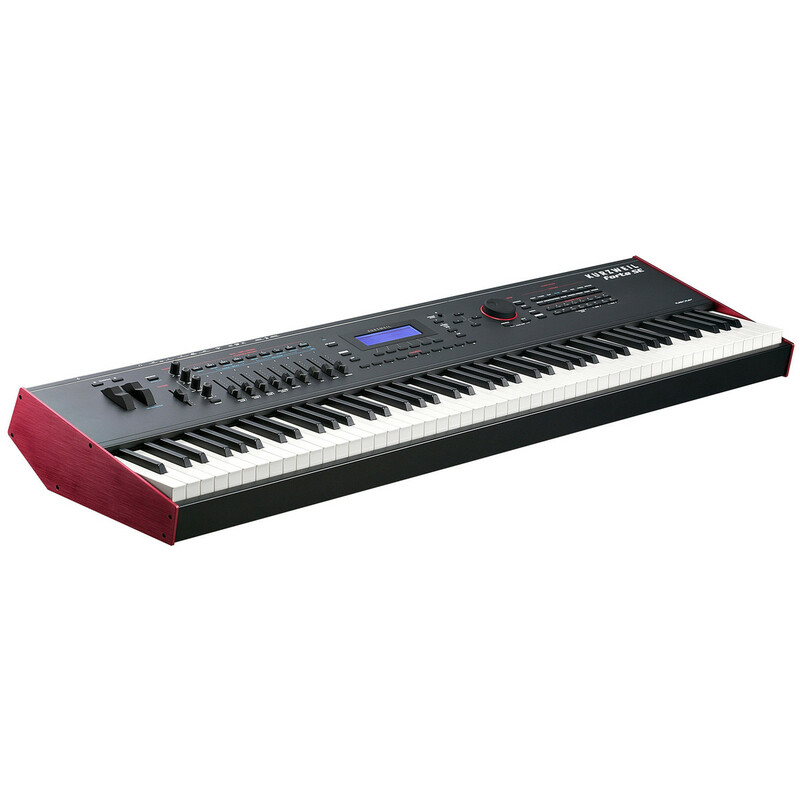 Every sound within the Forte SE is perfectly matched to its 88-note fully-weighted Italian hammer-action keyboard with aftertouch. The Forte SE grants full access to Kurzweil's legendary Variable Architecture Synthesis Technology directly from the front panel. With 32-layers per program, each offering its own signal path and a host of modular DSP tools, the Forte SE offers a wealth of sound creation and modification that is truly immense. Award-winning Reverbs, Delays, Choruses, Flangers, Phasers, Distortions, Rotary Amplifiers, Compressors and more are available and all fully editable from the user-interface. Dial it in with the Master EQ section featuring Bass, Treble, a sweepable Midrange and on/off switch. Using your Mac/PC or iPad, get deeper into editing your Forte SE's Programs, Multis and Effects. 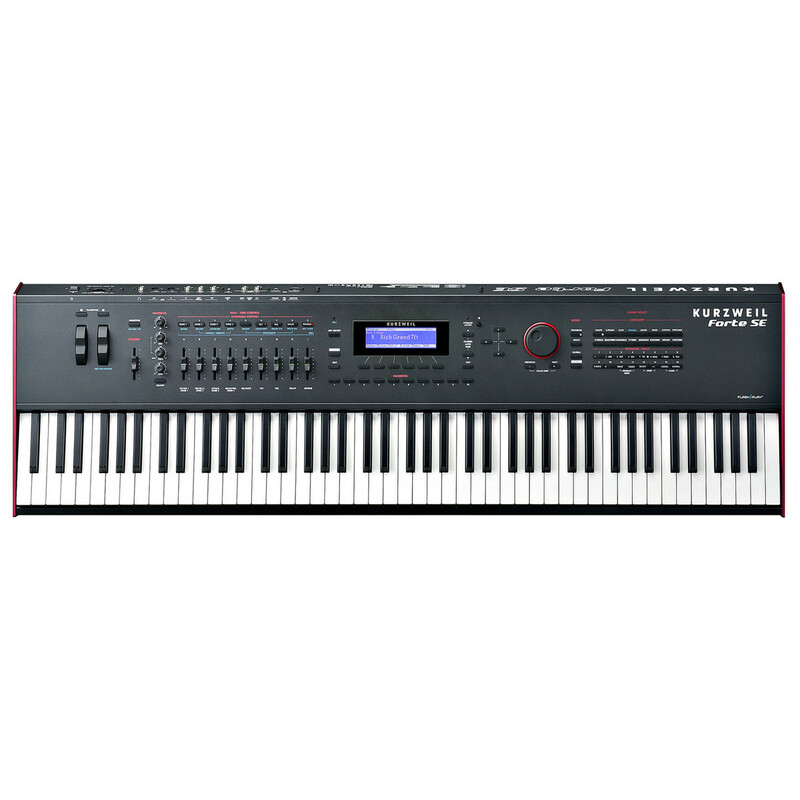 Activate up to 8 independent Arps (1 per program, 8 per Multi) and discover the new 'Step Sequencer' environment. 9 Sliders, 11 Switches, 2 Wheels, 2 Switch Pedal Inputs (which support 2 half-damper pedals for pianos, or up to 4 switch pedals), 1 Continuous Control Pedal Input and Aftertouch are at hand for intuitive control. (1 sustain/switch pedal is included). Pitch/Modulation wheels along with dedicated -/+ Transpose and sound Variation controls are conveniently located right on the front panel. The Forte SE features easy Category and Program/Multi selection, plus save your own preset for each Category. Access your favourite sounds with one button press, conveniently located right below the Forte SE's display.